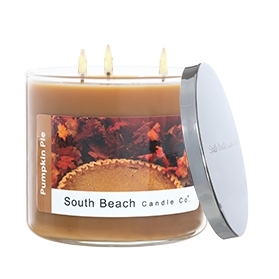 Welcome family and friends this holiday season with the vibrant aroma of a pumpkin pie candle. Seasoned with cloves and sparkled with cinnamon while adding an everlasting piquant ginger scent. Burns for approximately 50-70 hours.